“NOMNOMNOM,” the satisfied sound one makes when happily chewing delectable dishes, became the inspiration for a young entrepreneur’s food venture. 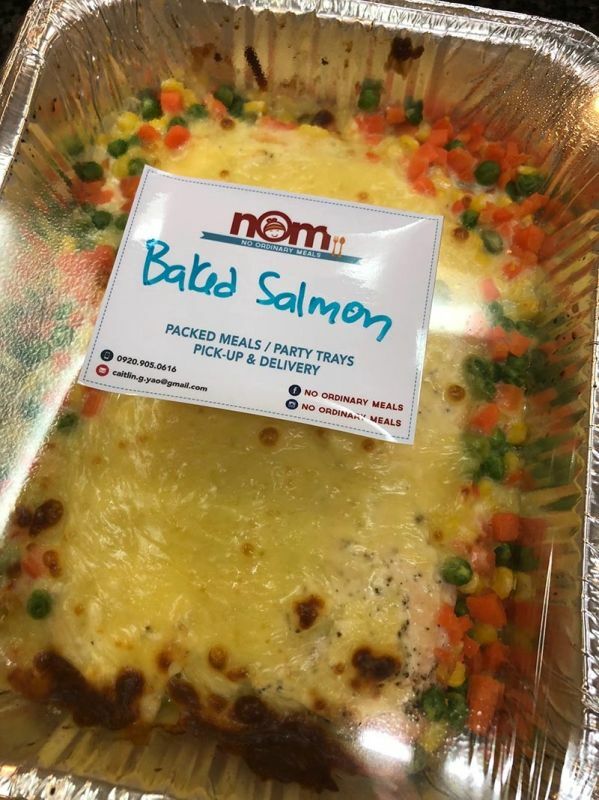 No Ordinary Meals or NOM is best known for its mouth-watering party trays, packed meals, and catering. It recently opened its commissary along Mayon St., Davao City. “We stick to our motto as much as we can. 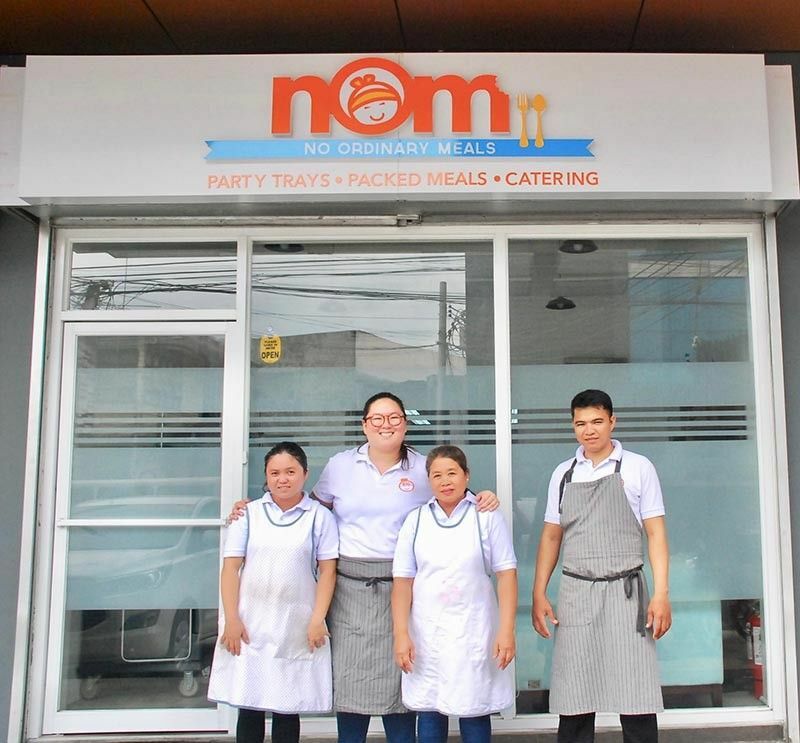 We believe that no meal should ever be ordinary, it should be an experience; hence the name, No Ordinary Meals”, NOM’s Caitlin Go Yao explains. Caitlin, an AB English Literature graduate from the Ateneo de Manila University, has enjoyed cooking since she was a kid. “At our college dorm, our only food options were cafeteria food and fast food. Then, I found out we had a kitchen pantry in our dorm that no one used. So, every Sunday I would buy groceries and cook my meals for the week in the pantry. That way, I saved my allowance and I was able to eat healthier food,” she fondly recalls. 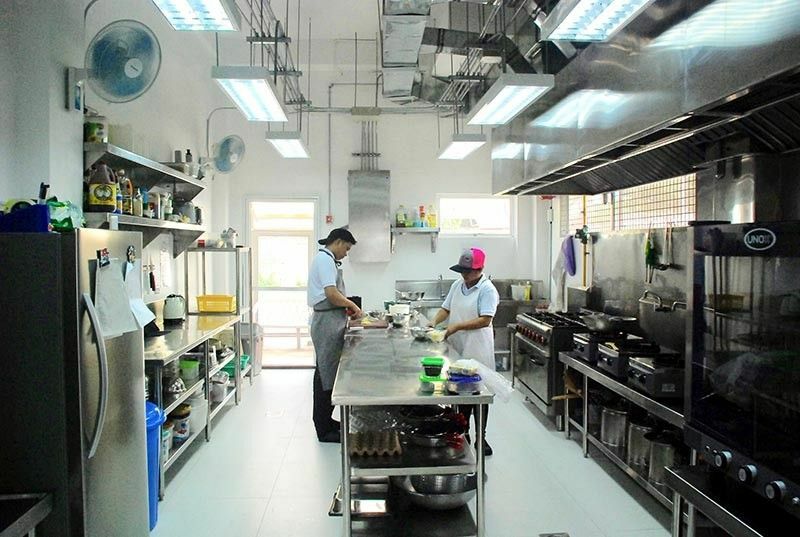 She loved cooking so much that she enrolled in a culinary course at the International School for Culinary Arts and Hotel Management International School (ISCAHM). After having her internship at the Hyatt Hotel and Casino and working as chef and manager at various restaurants, she started selling banh mi sandwiches and granola from home. “I eventually expanded to cooking for small dinner parties and such. I decided to finally open the NOM commissary because I saw the demand for our food and our home kitchen just couldn’t hack it anymore”, Caitlin divulges. “We are a small team being so young a business. NOM is run by me and I have two kitchen assistants, Ana and Roland, with a lot of help from my Yaya Nenet, family and friends. My boyfriend Paul also helps us out a lot when he is in town. He is a cook as well,” she shares. Caitlin describes NOM as “uncomplicated comfort food.” “We don’t really stick to a particular cuisine. It’s a mishmash of whatever is good. 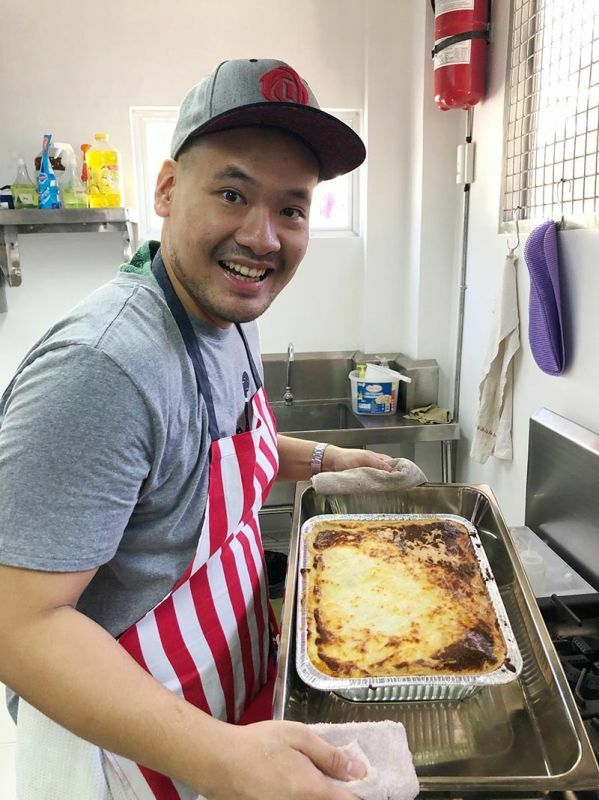 We have a few items that are geared towards an Asian palate, others towards western cuisine and some are dishes that I learned from my Yaya Nenet, family, and friends. 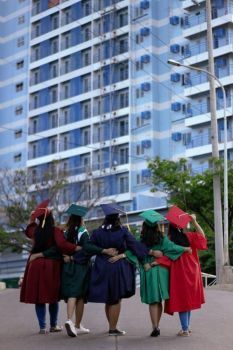 I also picked up a few ideas from traveling and watching a ton of Mukbang shows (videos of people eating lots and lots of food),” the Stella Maris Academy of Davao alumna reveals. 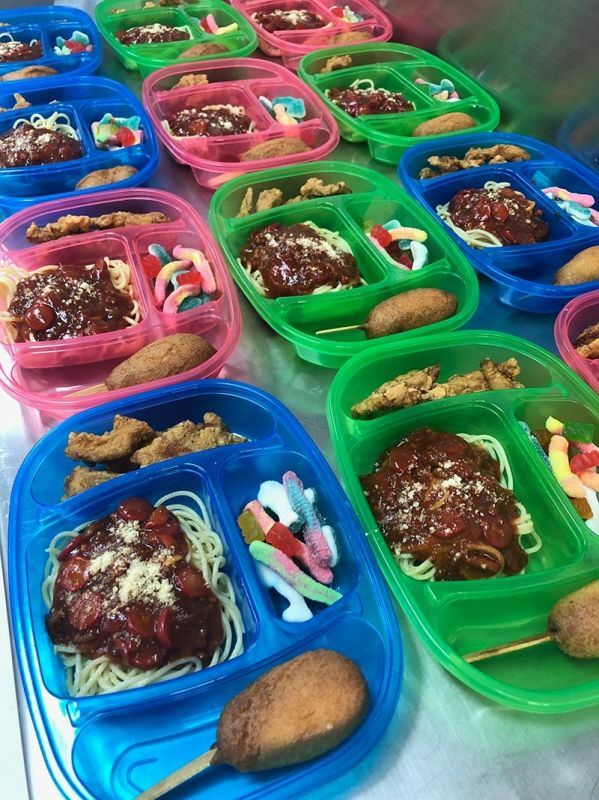 NOM’s main sellers are the children’s bentos, packed meals, and crew meals. It also offers breakfast packs, rice toppings, and snack packs. “Our main line though are party trays, which we thought would be a good idea for today’s busy lifestyle. We observed that big parties are not common anymore and household help is getting harder to come by. So, our party trays come in disposable containers and different sizes,” she shared. Among NOM’s bestsellers are its Mango Kani Salad which is mixed greens served with mangoes, half-moon cucumbers, kani and their signature mango dressing, NOM Nachos, deep fried corn tortilla chips topped with pico de gallo, pickled daikon and carrots, spring onions, and Korean chorizo crumbles served with nacho cheese sauce and a special Japanese crack sauce. Other greatest hits include Beef Salpicao, US beef Tenderloin lightly sautéed in NOM’s signature blend of spices and topped with toasted garlic for that umami punch; Chicken Teriyaki, charcoal-grilled chicken thighs brushed with NOM’s Teriyaki sauce, topped with sautèed shitake mushrooms and ramen egg; and Creamy Baked Salmon which is Norwegian Salmon baked to perfection with a cheesy crust and served on a bed of mixed vegetables. NOM’s Chorizo and Rose Pasta as well as Bibimbap are favorites of clients, too. NOM also sells frozen food good for two to four people looking for convenient meals. Menu changes weekly and prices range from P300 to P500. In addition, it sells salad dressing by the jar. As a chef and entrepreneur, Caitlin values the important lessons she has learned along the way in running a food business. “It’s not just about cooking good food. There’s a lot of math, management, and science to it. My biggest takeaway would probably be that quality and service have to always be top-notch!” She imparts. NOM is located at Door 109, Davao Proluxe Bldg, along Mt. Mayon St. (near Sampaguita Inn), Davao City. They can be contacted through 0999-500-5529. E-mail address: noordinarymeals@gmail.com. Follow No Ordinary Meals on Facebook.